Veteran of "C" Battery 1/83rd Artillery 1968-1969. 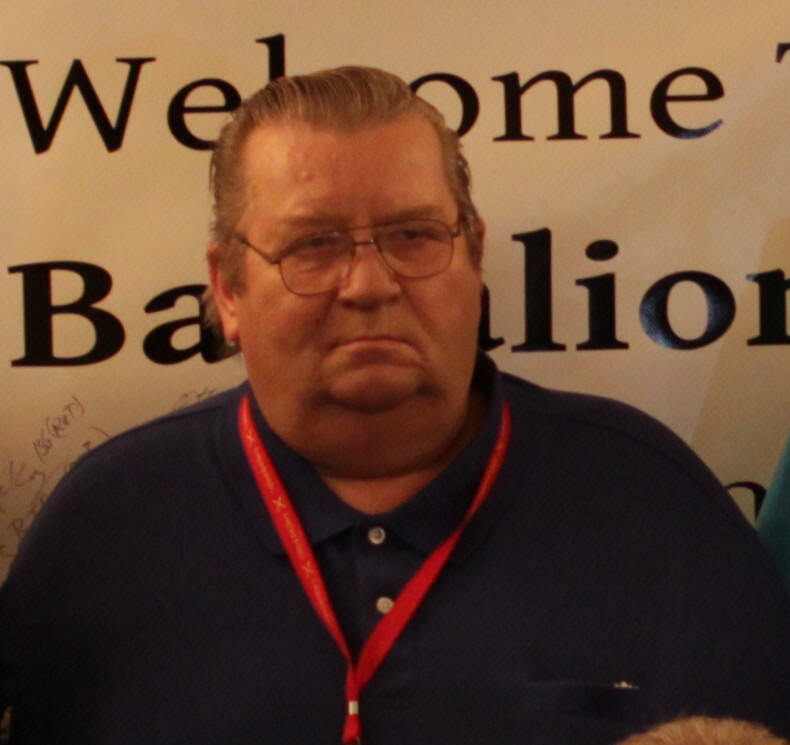 Merlin J “Butch” Schaller age 64, of Fort Atkinson, WI passed away on Tuesday, January 8, 2013 at his home. Merlin was born in Waukesha, Wisconsin on June 26, 1948, the son of Merlin and Mildred (Gildemeister) Schaller. He attended Lake Mills High School. Merlin served his country in the U.S. Army Artillery in Vietnam during 1968 and 1969. On June 21, 2000, Merlin married Linda S. Stasch Maasz in Reno, Nevada. Merlin worked as a machinist/grinder for 31 years at Crepaco in Lake Mills, WI and then worked for 5 years at Tyson Foods in Jefferson prior to his retirement. Merlin was a member of St. Joseph Catholic Church, Fort Atkinson. He was a member of the Vietnam Veterans Association #409, the Wisconsin Vietnam Veterans Chapter 7, Paul Frank Florine American Legion Post #166, the Disabled American Veterans Post #39, and the Edwin Frohmader VFW Post #1879. Surviving are: Wife: Linda S Maasz-Schaller, Fort Atkinson, WI, Children: Adam Schaller, Fort Atkinson, WI, Leslie (Adam) Johnson, Lake Mills, WI, Billy (Melissa) Maasz, Fort Atkinson, WI, and Cindy (Harvey) Hephner, Chilton, WI, Grandchildren: Mika Kolodzne, Jefferson, WI, Dylan Johnson, Lake Mills, WI, Danny & Kelly Hephner, Chilton, WI and Hudson Maasz, Fort Atkinson, WI, Siblings:Nancy Benson, Rick (Sandy) Schaller, Johnson Creek, WI, Barb (John) Firkus, Fort Atkinson, WI, Fern (Dale) Dehnert, Waupun, WI, Kathy (Greg) Newkirk, Jefferson, WI, Nick Schaller, Black River Falls, WI, and Ann Wachal, Jefferson, WI. He is further survived by nieces and nephews, other relatives, friends, and his dog Buster. Merlin was preceded in death by his parents. A Mass of Christian Burial will be held on Friday, January 11, 2013 at 12:00 PM at St. Joseph Catholic Church, 1660 Endl Blvd, Fort Atkinson, WI with Father Brian Wilk celebrating. Interment will be in the Evergreen Cemetery, Fort Atkinson, Wisconsin. Friends may call from 4-7PM on Thursday, January 10, 2013 at the Nitardy Funeral Home, Fort Atkinson, WI, and after 11AM on Friday at the church until Mass.